Leave the ink packs installed. 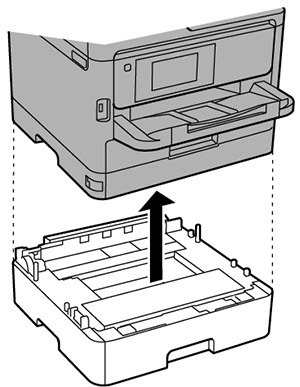 Removing the packs can dry out the print head and may prevent the product from printing. Wait for the power light to turn off, then unplug the power cable. Lift up the product cover. 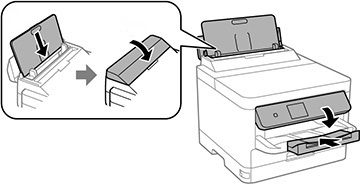 Secure the print head to the case with tape as shown. Do not touch the translucent film inside the product; otherwise, you may damage your product. 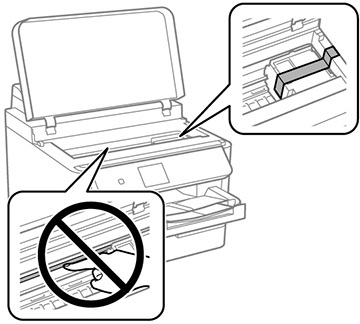 Uninstall the optional paper cassette, if necessary. 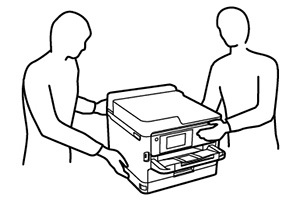 Close the rear paper feed slot and output tray and lower the control panel. Keep the product level during transportation. 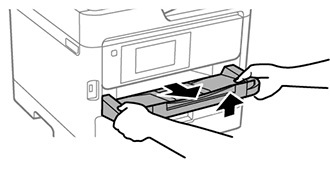 Make sure you remove the tape securing the print head before using the product. 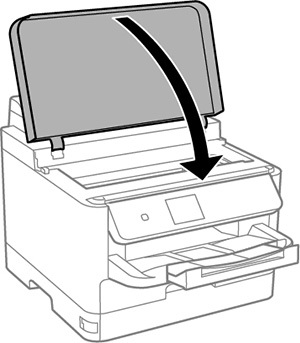 If print quality has declined when you print again, clean and align the print head. Published: 15-Feb-2018 Was this helpful​? Thank you for the feedback!